A tribute to a dear old friend. We’re going to start off today with a book from another part of my shelves. It is a very humble book indeed. 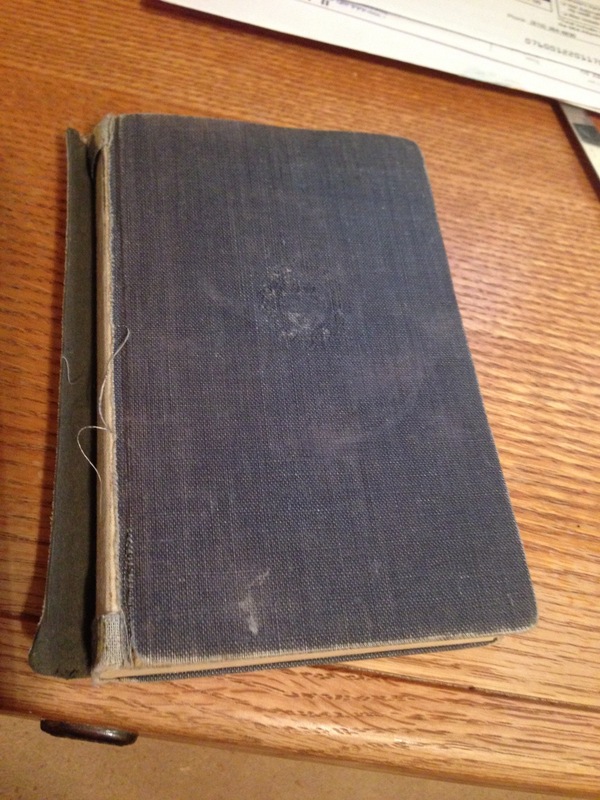 The cover is badly scuffed, the corners are foxed and the spine has split from the front and is separating. The gold lettering on the spine is barely legible: “SHERLOCK/ HOLMES/Selected/ Stories/*/Conan/Doyle” at the head and “OXFORD” at the foot. Inside it's a similar story. The pages are split at the title page, and there are scribbled notes everywhere. This is the kind of book that would not even make it into a church bazaar. I first saw this book near Atlanta, Georgia, at a Sherlock Holmes conference run by John Bennett Shaw. The man carrying it had a rubber band around it to keep it together. But it wasn’t the book that arrested my attention, it was the owner. Chuck Henry in a photo from the The (Norfolk) Virginian-Pilot profile published July 22, 1987. Charles E. Henry was never shy about dressing to attract attention. On this occasion, he was wearing a white pith helmet that covered an almost bald head. If his nose was a bit too bulbous, it faded in relation to the muttonchop sideburns that blended into a major moustache. I remember thinking he would have looked at home at a club of retired British military commanders from the turn of the last century. Instead, he was an expert in brain waves from Cleveland, Ohio. The many faces of Chuck Henry from Peggy's invitation to his 90th birthday party. Chuck, as I would come to call him, was a character in the most pleasant sense of the word. He spoke his mind, and held himself and all around him up to the highest standards. He was unapologetic about his pipe smoking and 4 p.m. martinis, and he loved to talk books and Sherlock Holmes deep into the evening. He was probably the most brilliant man I've ever known, yet he never made me feel uneducated or ill informed. He became a vital figure in my life as a Sherlockian, and he nurtured my nascent interest in Vincent Starrett. He was my surrogate Sherlockian father. There were many sides to Chuck Henry. Chuck Henry was invested as The Lion's Mane in the BSI in 1978. There was Chuck Henry, the Sherlockian. He was a member of Mrs. Hudson’s Lodgers of Cleveland, the Inverness Capers of Akron, the Cremona Fiddlers of Williamsburg and the Sons of the Copper Beeches of Philadelphia. He and Peggy attended John Bennett Shaw’s first Holmes conference at Notre Dame and several more over the years. He was invested as a Baker Street Irregular in 1978 with the name “The Lion’s Mane.” As he often said, he valued the BSI after his name more than the PhD. 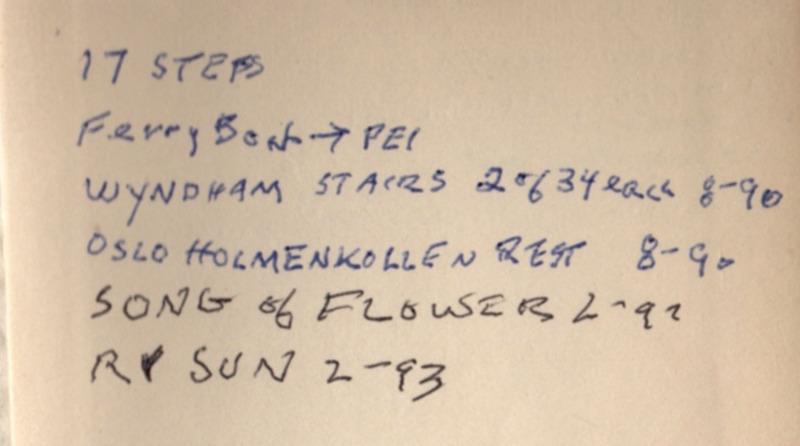 Chuck kept a list of places where there was a staircase with 17 steps, like the staircase at 221B. But my favorite Chuck Henry was the fellow who would sit in his house, start a small fire in the fireplace, mix up a batch of martinis and then alternate between pipe and cup as we talked about books and Sherlock Holmes and Vincent Starrett. We would talk long into the night and early morning, at times letting the conversation fade so that we would sit in silence with just the popping logs and clink of ice. Those were magical nights. A typical page showing where and when the story had been read. Which brings me back to that badly banged up book of Holmes stories. Chuck liked this volume because he could slip it into his coat pocket and carry it on any voyage. I’m going to flip it open to page 279, where “The Blue Carbuncle” begins. On this page are several of Chuck’s notes, recording the places he was visiting at the time he re-read the story. There must be six dozen such notes throughout the book. 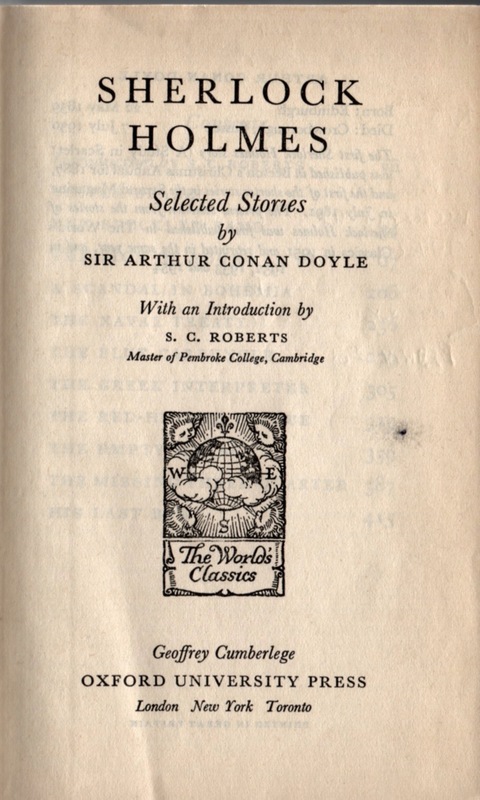 The inscription from the FEP of Chuck's Sherlock Holmes Selected Stories. At the front of this volume of Holmes stories, Chuck has written a final note. But the book's travels are not over. As you can see, I’ve started carrying the book around with me when we go on trips. It went with Joan and I to Alaska last year during our two-week vacation, and will go to Cape May, N.J. later this year. I keep it in a plastic bag just to make sure all the pieces stay together. Despite its cracks and bruises, I think it still has a few miles left in it. Charles E. Henry died on December 30, 2010. At 95 years of age, he was one of the oldest invested Irregulars. Over the years, he gave me dozens of books. The most remarkable was the gift of his bound Strand magazines, a gift so magnificent that I am still boggled by his generosity 20 years later. He asked that I give away those books of his that I did not need in my collection. I have done so, and the last book was a prize a few weeks ago at a meeting of the Sons of the Copper Beeches. With that book now in new hands, it seemed like a good time to remember this incredibly generous man. I’ll end with a final recollection: We held a big party at the Henry’s home to celebrate Chuck’s 90th birthday. There were dozens of friends from all over the country and since we only knew each other by reputation everyone had a name tag. I've never been honored like this before. The cat is mine, but the Strand Magazines came from Chuck and Peggy Henry more than 20 years ago. I've spent endless hours with them over the decades. This information comes from an article by George H. Klem from the American Journal of Electroneurodiagnostic Technology, Vol. 48, pages 61-61, 2008. Chuck’s admonition prompted me to write a presentation on "221B," which was delivered at The Spirits of Sherlock Holmes on August 6, 2010 at the University of Minnesota. A few months later, I went to Chuck and Peggy’s place and gave them a private presentation. I was delighted when Chuck opined, "As Nero Wolfe would say: 'Satisfactory.' "
This is the second time I’ve gone off topic to talk about someone who was influential in my Holmes life. 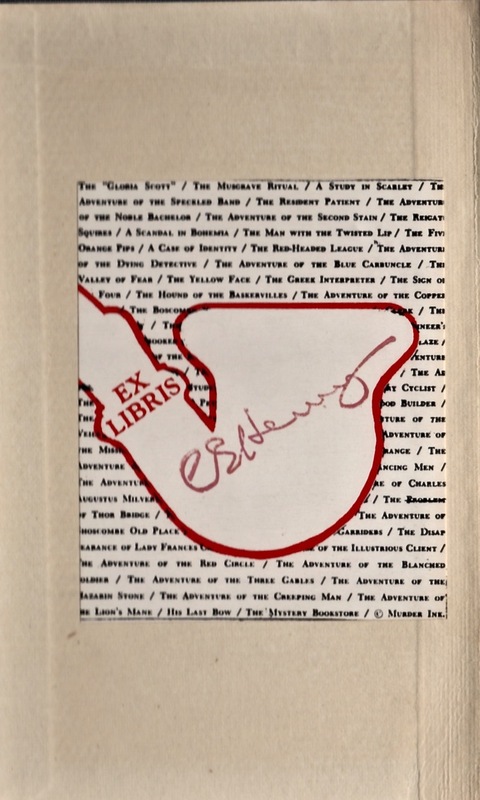 The first was an essay dedicated to John Bennett Shaw.